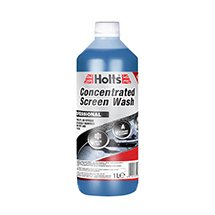 ‘Holts’, with nearly 100 years of experience, has become a global leader in the automotive aftercare market. In 1919 Douglas Holt started the business, which prides itself on understanding the needs of its customers and developing products which helped their vehicles run better and last longer. With sales from the UK to Middle East and beyond, Holts has become a truly international business and can be relied upon to deal with any car care challenge. ‘Prestone’ has been the trusted name for exceptional vehicle protection for over 90 years. 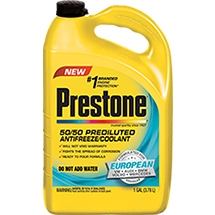 Since 1927, when Prestone pioneered automobile antifreeze/coolant, it has helped people defy the damaging effects that time and harsh weather conditions can have on their vehicles. With increasingly complex modern automobiles, Prestone is committed to engineering the right product to meet today’s technological requirements. The products we use are water based and will make spots and stains from all kinds of spills disappear, leaving the seats and carpets looking like new. Our technicians will wash, buff, wax and polish every inch of your vehicle including your chassis, wheels and the engine bay to restore it to showroom condition, and you will enjoy lasting protection for your paint, engine and interiors. Our detailing service covers the most hard-to-reach areas to clean air conditioning vents and eliminate up to 99.99 percent of germs and bacteria from the car’s interior. Depending on your needs our services can range from simple waxing and polishing to a full steam vacuum and thorough engine cleaning.